What type of bird is this (FL)? 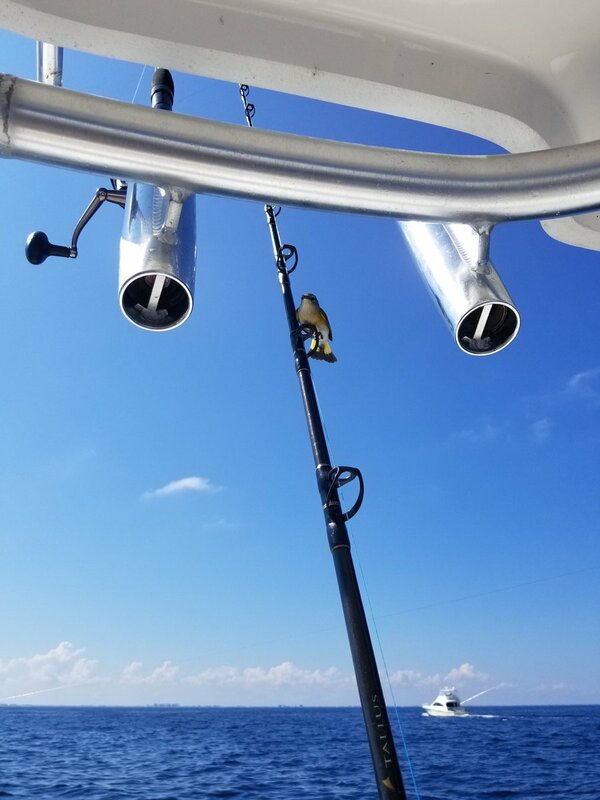 Bird landed on pole off Jupiter Beach, FL in the Atlantic Ocean. Thanks! Appears to be an American Redstart. I agree with American redstart. The more important question is what did yall catch?